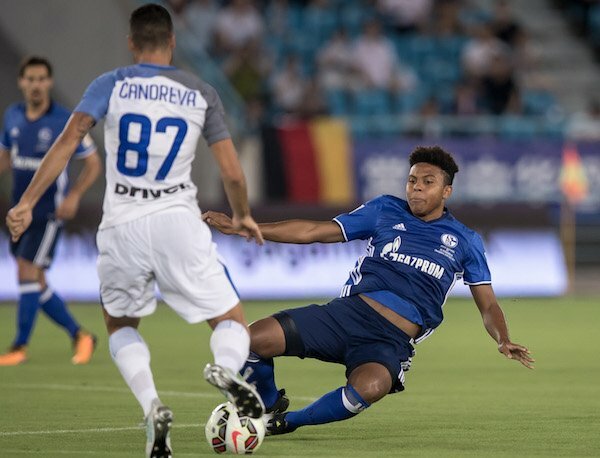 Within the last two years, three Americans, Haji Wright, Weston McKennie and Nick Taitague, at age 18 joined Bundesliga club Schalke 04, which has one of Germany's best records of promoting players from its youth and reserve ranks. The list includes Manuel Neuer, Mesut Ozil, Julian Draxler, Benedikt Hoewedes, Leroy Sane, Joel Matip, Sead Kolasinac and Max Meyer.Bodo Menze, known as father of Schalke's Knappenschmiede, the club's youth program, spoke with us about the progress of the three Americans and the Bundesliga's youth movement. BODO MENZE: Weston is the one of the three Americans who's come along the fastest. The first to get a foothold in the Bundesliga. He has a promising future. He's athletic, robust, strong, good in the air, strong in the tackle. 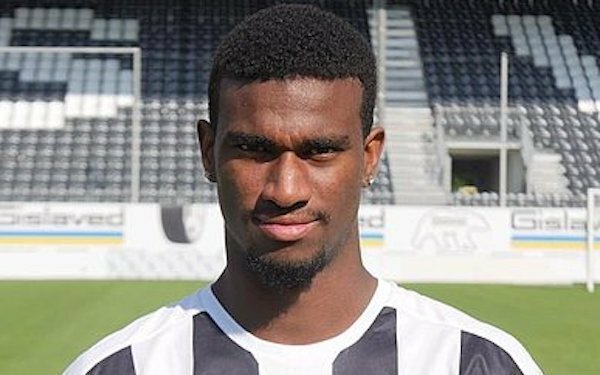 He's been playing in central midfield but I read he got some time at central defender in a friendly. He has all-around capabilities but I personally believe his best position is defensive midfielder, and he's most effective as a ball-winner in the midfield. Intercepting balls and winning one-on-ones. • Suffered a knee injury Jan. 21 and is expected to be sidelined for six weeks. Schalke is in 3rd place. With Wright, I'm still waiting for some things. He's a striker with all the tools. He's very fast. He's a born counterattack player. But he has to become more consistent, more focused. The assistant coach at Sandhausen was my U-21 coach at Schalke. So, I know him personally. And I am waiting for a call from this assistant coach that tells me, Bodo, now he's made it. He is comprehending what he needs to do to reach the level that his talent can enable him to reach. • Sandhausen is in sixth place. He is with the U-19s, which are on top of the standings. He's a starter. He's a midfielder who links the defense to the offense, and is attack-minded. He has enormous potential and realizes it -- and handles that earnestly. He is a very grounded boy. Well settled in. And I have the impression that he has a positive view of how the future looks, and sees his opportunities, and seeks to make the most of them. • Schalke is in first place of the A-Junioren Bundesliga West. One of the criticisms of MLS is that not enough young players are given playing time, whereas in Germany, Bundesliga teams seem to be fielding young players at an impressive rate. Why is that? It used to be that coaches were scared of throwing in new players. Older players got priority and older coaches stayed in the system. An interesting development is that in the meanwhile there is less reliance on older coaches and the older coaches aren't automatically hired. To the chagrin of the older coaches, who don't believe that's good at all. But young coaches are arriving in their early 30s and late 20s, because those in management have realized that's the better, the right, the innovative way. These young coaches didn't just appear out of nowhere. They have often been in the system for a decade and have much experience in youth development, in the academies, as coaches. The young coaches came out of the youth programs so they have faith in the talent they develop? An example is our coach, Domenico Tedesco (age 32), who worked in the Hoffenheim and VfB Stuttgart youth programs, and then for a half season as head coach for second division Erzgebirge Aue. At Aue, he took a team from zero to 100 within a half year, lifting it out of the relegation zone. Our general manager, Christian Heidel, who has a very analytical man, a very cool head, a very innovative man -- he followed this coach, this coaching category, and knows exactly what he's doing. That Domenico Tedesco transitioned so well has been good fortune for Schalke -- but also one that came because of the courageous step taken by Christian Heidel. It used to be that the coaches in the youth programs weren't taken so seriously. But in the meanwhile, the work in the academies has become so professional and so meticulous that it's become very professional work and isn't different in practice from the first team. Obviously, part of the success of Schalke graduating players to the first team from its youth program and its reserves is the club has attracted talented players. What's the key to identifying that talent? My observation is that Christian Heidel has revolutionized the scouting system. I can't go into details because I can't give away club secrets. But I know the system. We have eyes on players all over the world. They can just as well be Americans, French or from whatever nations. In the end, it has to fit. In light of the success of Christian Pulisic at Borussia Dortmund and McKennie with Schalke, when a U.S. U-17, U-16 or U-15 national team is playing, do you think Bundesliga scouts are watching? 1 comment about "Schalke's Bodo Menze on U.S. teens in Germany and the Bundesliga's faith in young coaches and players". Bob Ashpole, January 25, 2018 at 1:06 p.m.
Good interview, Mike. Very interesting.